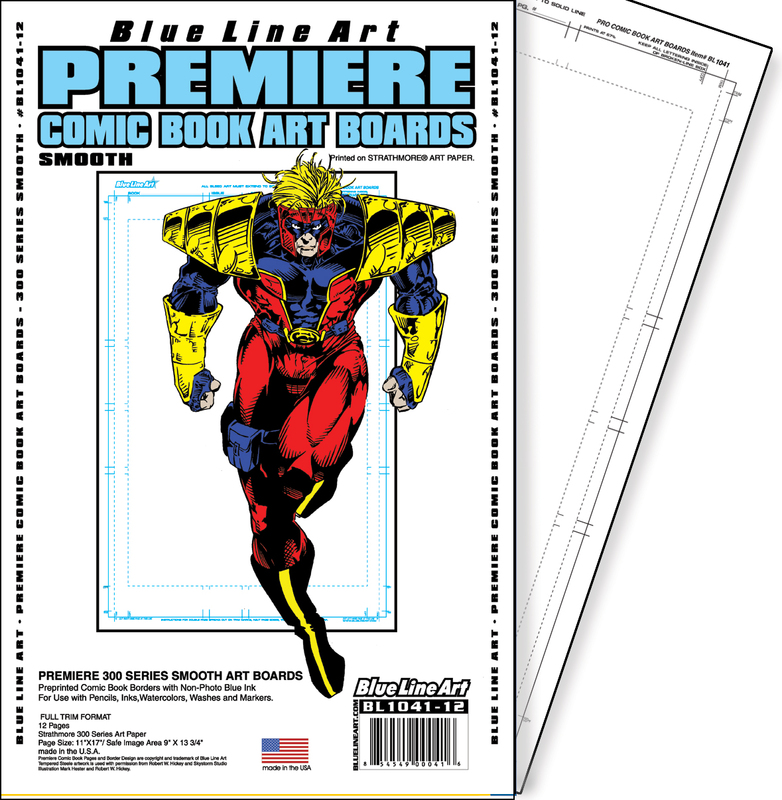 Premiere is printed on “Strathmore” boards. 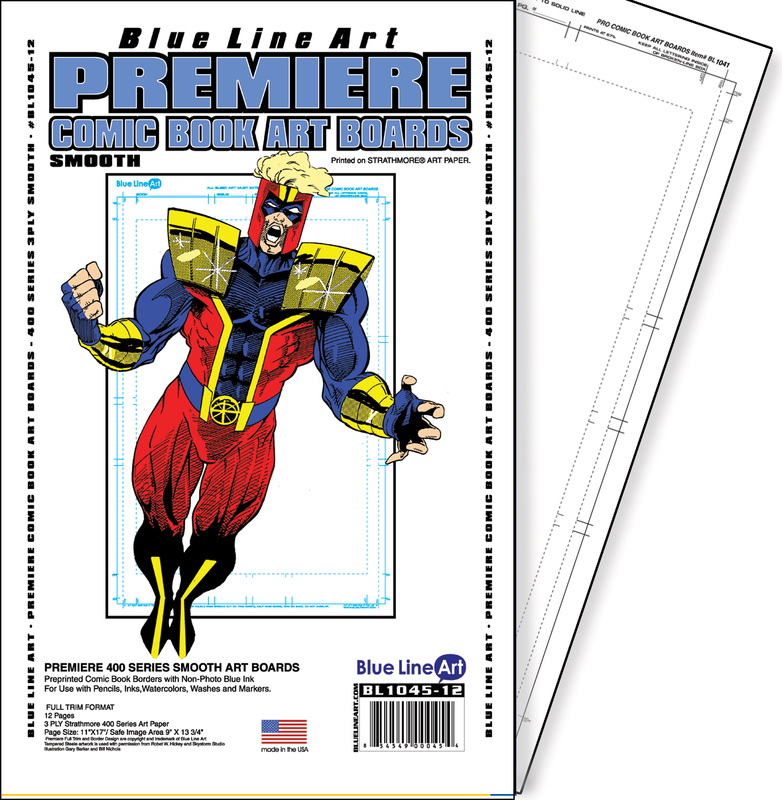 The Premiere (Strathmore) Series is a Bristol art board preprinted with a non-photo blue border that is the trademark of all Blue Line Pro boards. 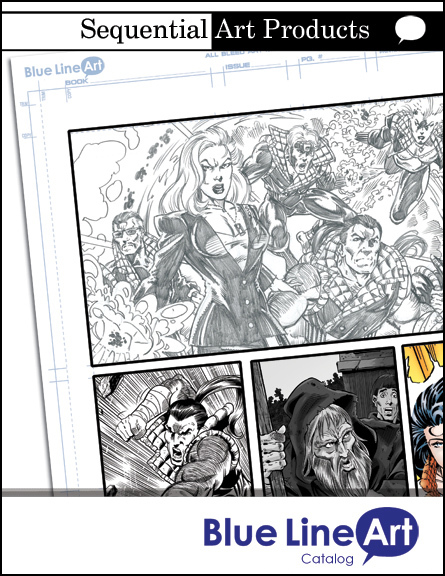 This allows the artist to draw comics the actual size that professionals do. 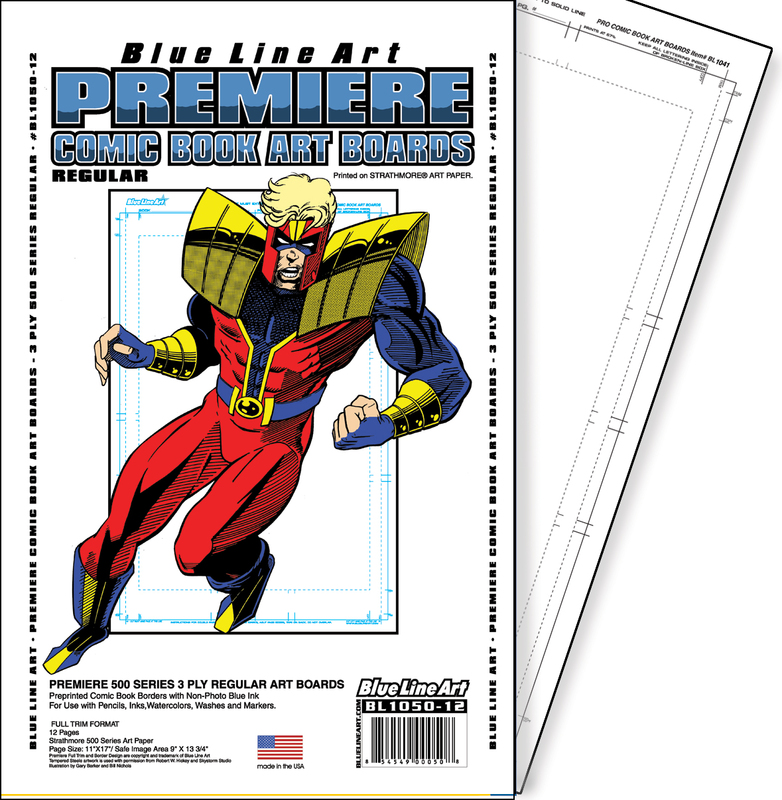 Professionals draw their illustrations larger then they appear in the finished product. This helps minimize mistakes. The main advantage of Strathmore is it’s 100% acid free feature. This prevents the signs of aging such as yellowing. The Strathmore series is available in three different series: 300 400 and 500. Each come in 2-ply and 3-ply thickness available in two different textures (smooth and regular).